Looking for a treat for end of the year parties, a kid’s birthday party, or just a fun treat for your kids? 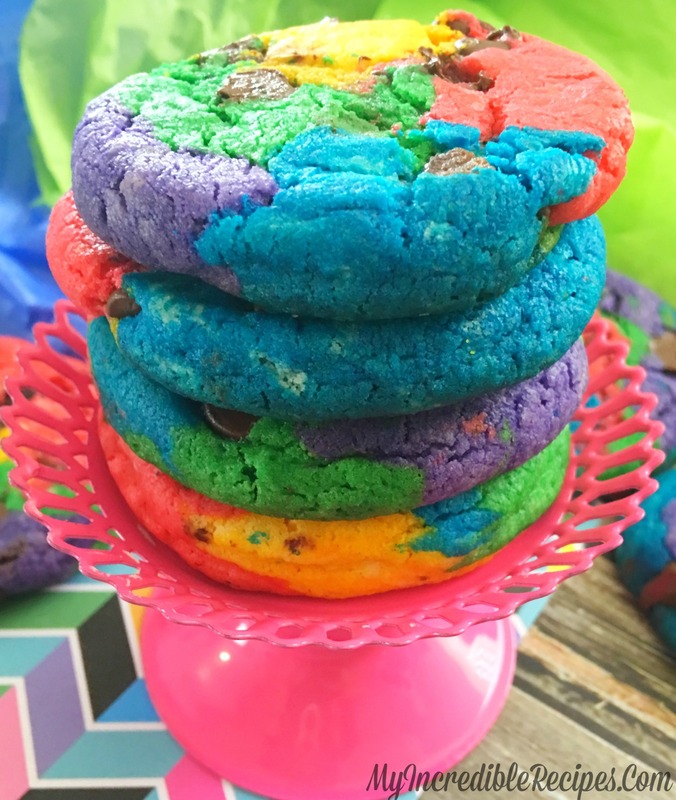 Here is a recipe for homemade rainbow chocolate chip cookies. This is sure to be a hit! Mix Together the Butter and Sugar. Add the Egg and Vanilla, then Mix. Add in the Flour, Baking Soda, Baking Powder and Cream of Tartar and Mix. Separate the Dough into Separate Bowls. Add a Drop of Food Coloring into Each Bowl, 1 Color Per Bowl. Mix Well. Separate the Chocolate Chips into 5 Piles. Mix Chocolate Chips into Each Bowl. Mix a Small Amount of Each Color Together and Roll in a Boll. Place onto the Baking Sheet, and Bake for 10 Minutes. We came across a cool web site that you just may possibly delight in. Take a appear in the event you want.